A unique blend of sea salts, Birch Juniper & Rosemary, pure essential oils and natural foaming agents. 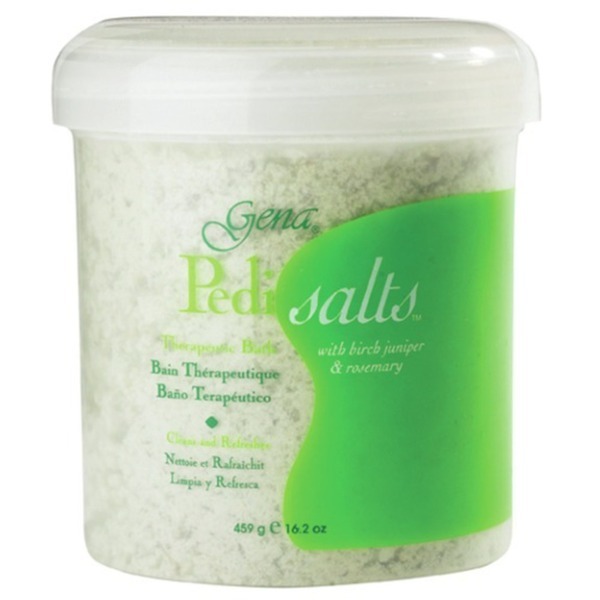 Perfect for pedicures or as a relaxing soak for tired aching feet. Add 14ml/ 0.05 oz. of Pedi Salts per gallon of water. Soak feet 5-10 minutes before beginning foot care service.